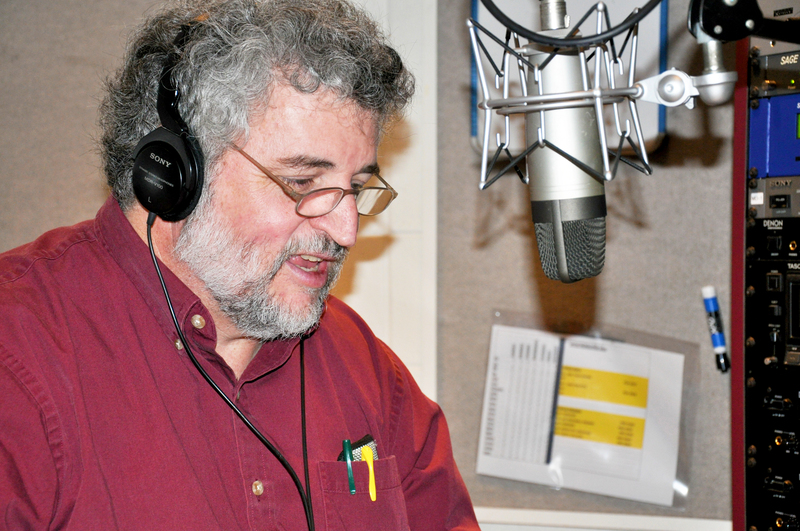 Campus Voices is a collaboration between UD Information Technologies and WVUD, Newark, 91.3 FM, the broadcast voice of the University of Delaware. Campus Voices showcases UD faculty, staff, and students engaged in exciting research, teaching, service projects, and other activities. We also include the occasional interview with guests to one of UD’s campuses. Campus Voices is broadcast to the UD community; the greater Newark, DE, area; and the Internet (via WVUD’s Web site) every Thursday morning at 8:30 a.m., between WVUD’s Java Time and Roots shows. Each episode is available as a podcast, through iTunes or any other RSS application. Tune in to Campus Voices to hear some fascinating conversation with members of the UD community. Contact us to ask a question, suggest a future guest, or make a comment about Campus Voices. Thanks for listening! Jason Fillo of IT-Web Development is the show’s announcer. Jason holds a BS, Computer and Information Sciences, and an MS, Information Systems and Technology Management, from UD. As an undergraduate, Jason appeared on WVUD on a variety of programs. He has worked for IT since 2007. Julia Giambastiani started working with the team in Fall of 2016. Earning a dual degree in English and communication with a minor in journalism, Julia helps write and edit posts for the show, and is set to graduate in Spring 2017. Outside of work and school, she is an expert in Netflix, a caffeine addict, and an avid reader. Sara Sajer comes next in the long line of sharp and enthused interns named Sara(h), an addition that is effective Summer of 2015. She’s a junior with double majors in English and Communications and serves as WVUD’s Music Director. She produces content, maintains the site, and throws in some new music knowledge when she’s not searching for the perfect cheesesteak and attending live music performances. Abbie Sarfo became an intern in the summer of 2015. She was a senior English major with a minor in journalism. Abbie helped create content for the show and website, and graduated in Spring 2016. Sarah Craster began her internship in the Spring of 2015, helping to produce content and maintain the site. Sarah was instrumental to bringing in Dr. April Kendra, whose episode took second place in the Radio/TV category at the Delaware Press Association’s Communication Awards in 2015. See the full interview here. Morgan Dennison began her internship in the Winter of 2015, and provided multimedia support, working with video and photography. She was a junior, majoring in Communications with a concentration in broadcast production and a graduation date set for the Spring of 2016. Sarah Tompkins worked for Campus Voices in the Fall of 2014, and helped to produce content and maintain the site. She was a senior, double majoring in English and Mass Communications. Philip Simpson worked as an intern for the Spring of 2014, and helped maintain the site and produce the show. He was a junior, majoring in Communications with a minor in Journalism. Sarah Meadows was interning in UD’s IT Communication Group and in UD’s Office of Communication and Marketing. She graduated from UD with a degree in English in May 2013. Kelsi Skeens was Program Director for WVUD for the 2012-2013 school year. As we made plans for the show, Kelsi is the one who suggested the name Campus Voices. A Chemical Engineering major, she plans to graduate from UD in May 2014. Campus Voices also thanks Paul Hyde, IT-Academic Technology Services; Ann Amsler and Suzanne Nanis, IT Communication Group; Joy Lynam, director of IT-Web Development; and Carl Jacobson, UD vice president for Information Technologies, for their support of the show.Further, Steve Kramarck, WVUD Station Manager, and Dave Mackenzie, WVUD Chief Engineer, provided training, advice, and support without which the show would not be possible. The podcast graphic used to link to the iTunes archive of Campus Voices was created by Colleen AF Venable and is used under a Creative Commons CC BY-SA license.